I don’t know if c|net counts as mainstream, but it is about time Creative Commons gets some wide press coverage. I use the Creative Commons Share Music License quite a bit. I released all of my album One under that license, and we have some bonus tracks from the recent Lucky 7s recording available under that license. Using that CC license lets people know that it is ok, and even encouraged, to share those tracks with their friends, or use them on their podcasts, without having to get my permission or worry about breaking the law. I have found it to be an exceptional way to get the word out about interesting music. Sometime ago Ray Moore and I were disussing multi-instrumentalists. I was saying how awed I was by Hermeto Pascoal and his band, that they all play multiple instruments, and sound great. Unrelated stuff like piano, flute, and euphonium…all on a level to make great music. We decided that some of it was the idea that they think less about the instrument and more about the music. People say to me, “How can you switch between instruments?” It’s because I don’t make a distinction. I don’t think “saxophone”, I think “music.” …It doesn’t matter to me what instrument it is. The instrument is simply a tool. Get the right tool for the job, eh? This article is about hearing in Canada in which the Canadian PROs are proposing tariffs on online music sales. CSI further proposes that services authorizing copying of musical works onto portable devices pay a minimum fee of $1.40 Canadian ($1.24) per subscriber per month, while services that do not allow portability pay a minimum of 60 cents Canadian (53 cents) per subscriber. Let me get this straight. It should cost me more than twice as much to be able to listen to music (that I have paid for) in my back yard or my car, than it should if I only listen to it in my office. That is so stupid. People pirate music because the owners of the music do stupid crap like that. If a customer is willing to do the right thing and pay for their online music, then the owners of the music should be willing to do the right thing and let the customers listen to it whenever and wherever they please. This article is mostly about acts finially going to some form of online distribution, but some of the reasons they give for staying away are pretty lame. But the artists argue online distribution leaves them with too small a profit. I get about $.57 per song sold on iTunes, and that is after I give a cut to a distributor. There is much less overhead because there are no physical product manufacturing costs. If the artists are getting shafted on iTunes sales, the problem is with their label, not the format. They say this like it is harder to pirate something that came on a CD than it is to pirate something bought online. Are they really that stupid, or do they think we are? I think the key to fighting piracy is to treat your customers with respect, and give them quality product at reasonable prices. When you begin to teach jazz, the most dangerous thing is that you tend to teach style…I had eleven piano students, and I would say eight of them didn’t even want to know about chords or anything – they didn’t even want to do anything that anybody had ever done, because they didn’t want to be imitators. Well, of course, this is pretty naive…but nevertheless it does bring to light the fact that if you’re going to try to teach jazz…you must abstract the principles of music which have nothing to do with style, and this is exceedingly difficult. So there, the teaching of jazz is a very touchy point. It ends up where the jazz player, ultimately, if he’s going to be a serious jazz player, teaches himself. The best teachers I have had in a jazz context have guided me towards finding my own style, as opposed to teaching me theirs. It is hard to write about music, or sound, in a way that really conveys the experience of hearing. I like Neil Perry’s take on Yoko Ono in Norway. It is an unsettling experience, standing in a corner of a foreign field watching a 73-year-old woman scream. This isn’t just your run-of-the-mill yelling, mind, in which many of the bands participating in this year’s Øya festival in Oslo, Norway, have indulged; this is fully amplified heart-and-soul hollering, with sharp overtones of ruptured yak, damaged fan belt and rusty pneumatic drill, and it is making people nervous. There have been some discussions of late, as to the validity of European jazz. I think the discussions are silly. People were playing and hearing jazz in Europe before most of the current crop of known jazz musicians (from either hemishpere) were born. 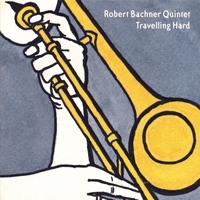 Well, if you need more convincing that great jazz is being made in Europe, check out Travelling Hard by the Robert Bachner Quintet. One of the first reviews I wrote for Scratch My Brain was of Bachner’s first CD. This follow up album features the same 5 musicians. The Vienna based quintet swings hard and plays with a conviction and honesty that I find very appealing. The liner notes menion that Bachner has studied with Conrad Herwig, and I hear that in his playing, but I find Bachner to be less careful and calculated sounding than Herwig, and that is meant as a compliment. Travelling Hard flows nicely as an album and has been in my heavy rotation since the day it arrived in my mail box. YouTube – Giants steps solo by a Robot! Sometimes I come to conclusions about people or their music before I have any good reason to. Often it is due to the look of an ad, or something that I read in an interview. I need to keep reminding myself not to pass judgement until I hear the music. I have been aware of guitarist Dom Minasi for a few years now, but I didn’t actually listen to his music until recently. Something about the way he was presented just didn’t make me think I would dig his stuff. 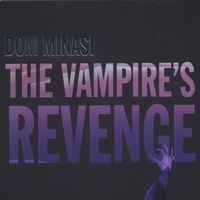 A few weeks ago I received a copy of The Vampire’s Revenge from Minasi’s PR guy. I like it. The dark sci-fi artwork doesn’t portray the vibe of the music to me at all. I guess one could get into the vampire story parallel with the music and the art would make sense, but I never really developed any vampire fascination, although I did sit near Anne Rice at the Orpheus Ball one year. This music is enjoyable without the back story. The album is two CDs long, and it does function well as a suite. There is a continuity and coherence that flows through the nearly 2 hours of music. I get some Escalator Over The Hill vibe from this CD, even though they don’t sound much alike. They both use large numbers of musicians, and also make use of voice. That might be the connection my brain is making. When you are feeling like exploring, give The Vampire’s Revenge a shot. It might suprise you, it suprised me. Check out the new website of Thomas Albert, an active American composer, and my cousin. Well, actually my father’s cousin, so that makes us…oh, I don’t know.